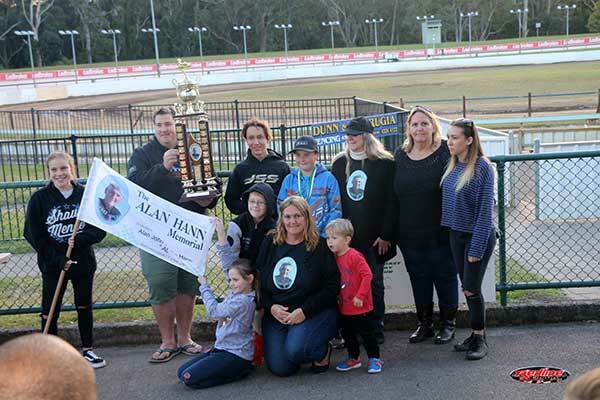 Central Coast Speedway Kart Club hosted the “2017 Alan Hann Memorial” last weekend July 16, to a create crowd and with good fields of drivers across six racing divisions. After horrendous luck with the weather earlier in the year, it was great to have brilliant sunshine over the entire weekend. This wasa regular club points round, with winners based on total points for the day. There are also two special Memorial awards for the highest points in all Junior and Senior classes on the day. The first class to run for the weekend was KA4 Juniors. This was a strong class, with Jac Laneyrie and Luke Geering fighting it out in each race, However it was Jac who managed to find his way to the front each time, taking out maximum points. 1st-Jac Laneyrie, 2nd-Luke Geering, 3rd-Chloe Angilley. Next up was KT Modified Heavy class, which was one of the bigger classes of the day. Lots of new talent and experience was on display, with some great racing and passing moves. 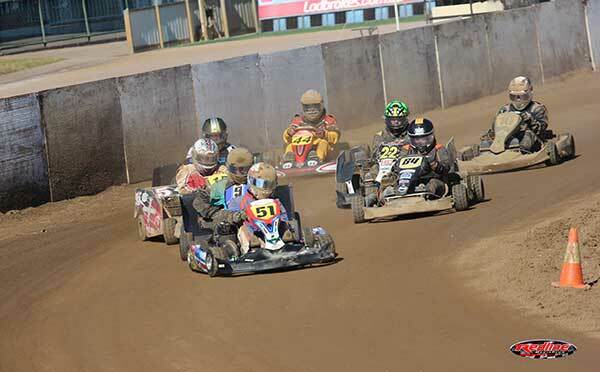 Jason Carter and William Lucas had one of the more spectacular crashes of the day in Heat 3, however both drivers escaped without injury, although the karts needed some work. In the end, the heat wins were shared equally by Andrew Walkerden and Jason Bisset. Cadet 9 class was run next and all our regular youngsters were on hand to continue to improve their racing skills against each other. However, the heats and final were dominated by Blaxx Caton taking 3 wins, with Mark Angilley winning the remaining one and hot on his heels. KT Modified Light class was up next with up and coming youngsters stealing all the spoils. Sean Morley topped the leader board with 3 wins and a second, fighting it out all day with Marcus Jackson. Caitlin Genner snuck into the points too, with some consistent driving all day. 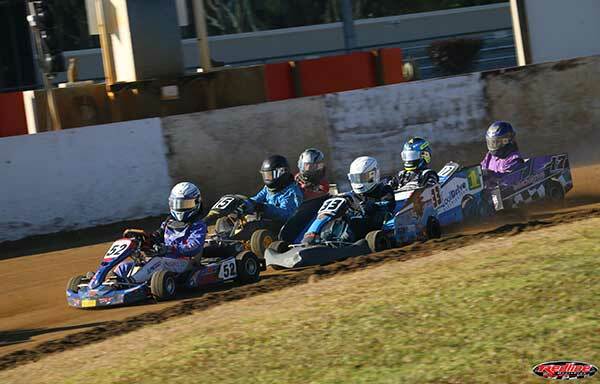 The Cadet 12 class was a big filed contested by many in form drivers as well, with victories shared by James Angilley and Max Bevan. 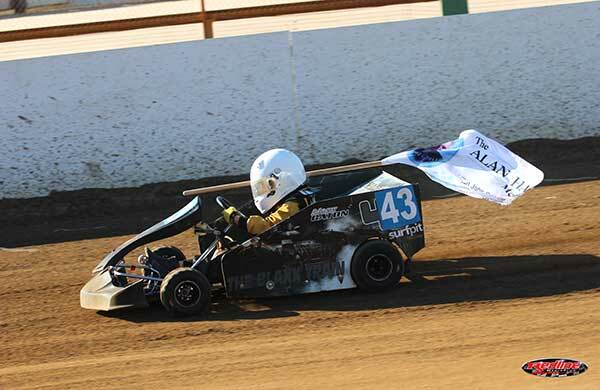 There was some great racing throughout the field,with many newer drivers improving each time they hit the track. The last class was KA3 Senior Heavy, with another tough field of competitors. 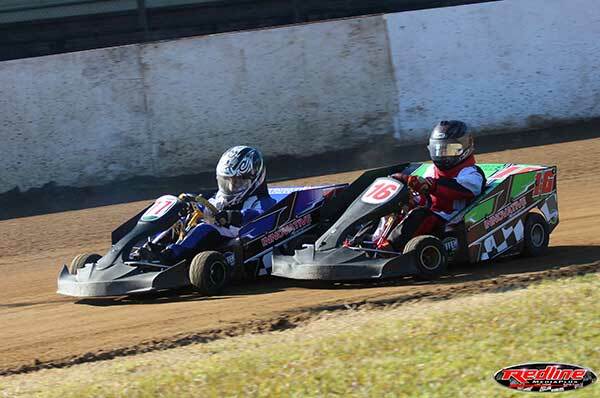 Wayne and Steve Hosie traded places all day taking out 2 wins apiece. They look to be tough to beat in this years club championship. Mark Patterson managed to snag 3rd place on the day with some consistent driving as well. Congratulations again to all round winners, and to Jac Laneyrie – Junior Alan Hann Trophy Winner, and Sean Morley – Senior Alan Hann Trophy Winner. Also big thanks to all our Volunteers and Officials who helped in the setup and running of the meeting.